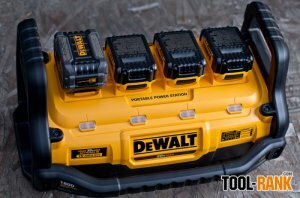 As I have mentioned numerous times in the past, I am a big fan of the modular DeWalt ToughSystem (be sure to read my review). 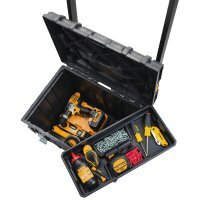 It is what I use to organize and transport my tools to and from the jobsite. Even though I have my system configured just how I want it, I am always excited to see what new additions DeWalt makes to the modular system. However, their latest additions are not really what I expected, a ToughSystem Ice-Cooler (DWST08404) and the new ToughSystem Waterseal Drawers (DWST08290). 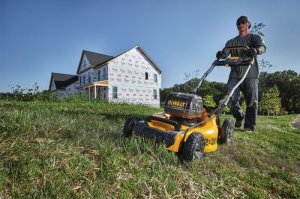 After a few years of offering cordless outdoor power equipment, DeWalt has announced that they will finally be offering a 40V Brushless Mower as an option for professional landscapers, and a second 2x20V MAX mower will also be available for Contractors and DIY'ers. 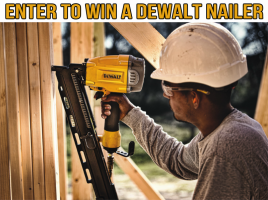 After DeWalt only recently came out with their Flexvolt system to address the needs of power hungry cordless tools, they have expanded the line to include the growing market of cordless outdoor power equipment. 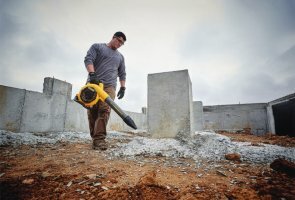 The DeWalt Flexvolt Outdoor Power Equipment lineup will include a new 60V Max Chainsaw, Handheld Blower, and String Trimmer. It is easier than ever to find a cordless replacement for any number of once corded-only power tools. Yet, the fact still remains that there are certain tools that are not yet cordless or may never be cordless. When you need to use these tools in a place without an outlet nearby, your only option is a noisy gas generator—which is useless indoors. DeWalt's answer to this problem is their new DCB1800 1800-Watt Portable Power Station and Parallel Battery Charger. 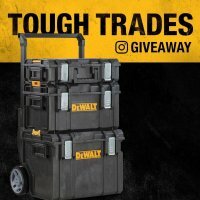 The DeWalt ToughSystem is by far the best solution I have come across to store and transport my tool to and from the jobsite, so I get excited when I hear about any new products in the ToughSystem line. 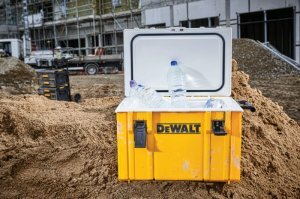 In addition to a couple of new ToughSystem storage boxes, DeWalt finally has a solution to storing their boxes in a workshop. 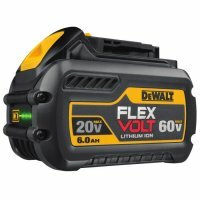 DeWalt has come out with a revolutionary new FlexVolt battery that can automatically change its voltage from 20V to 60V to match the voltage required by the tool. Two FlexVolt batteries can also be combined to deliver 120V Max to tools that require even more power. 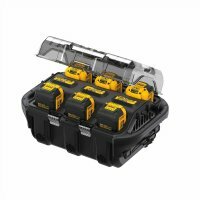 Best of all, the new DeWalt FlexVolt battery pack is backward compatible with existing DeWalt 20V Max cordless tools. Let's face it, we can never get enough runtime out of our batteries. Every year the manufacturers pack in more cells, that hold more juice, and we still want more. 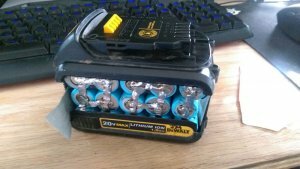 The desire for more power was seemingly so strong for one DeWalt cordless tools user that he decided to Frankenstein together his own DeWalt 8.1Ah battery.